Pre-Theatre at Busaba Leicester Square & Covent Garden! Already have your theatre tickets booked and now looking for a delicious and quick bite before going to the theatre? You’re in the right place! 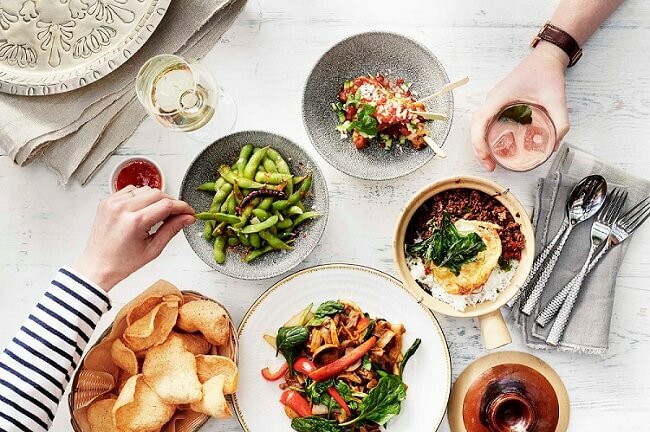 Every day between 4-7pm at Busaba Leicester Square and Busaba Covent Garden, we have the perfect pre-theatre set menu for you. Reserve your place, choose one small plate and one main from our pre-theatre menu for only £12.95, watch your show with a full belly and be happy! Click here to see the menu. Click here to book at Leicester Square and here for Covent Garden. Busaba Leicester Square is a 4 minute walk from Leicester Square tube station, while Busaba Covent Garden is only 1 minute away from Covent Garden tube station.